Giving Tuesday is Tuesday, November 27th! 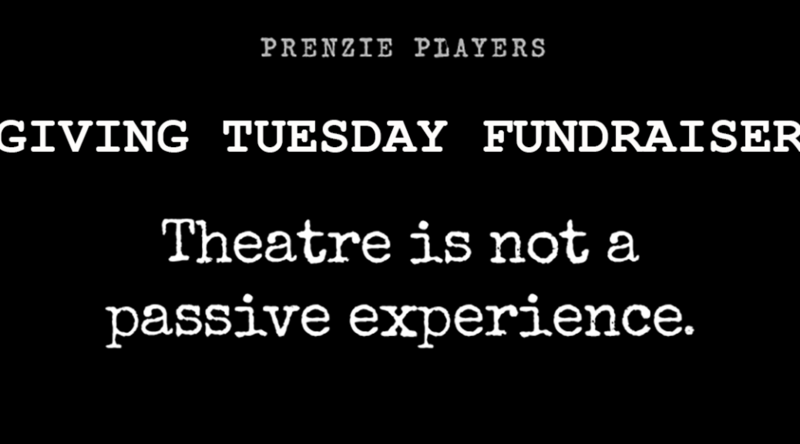 The Prenzie Players have had a fantastic year this year, but we need your support now more than ever! And with Facebook and PayPal matching donations made on Giving Tuesday, your contributions will go further than ever! CLICK HERE FOR OUR GIVING TUESDAY FUNDRAISER! We are looking forward to another amazing year of theatre and being another step closer to accomplishing All the Works | Seasons of Discontent, our goal to complete Shakespeare’s entire canon within the next few seasons! This will be wonderful, but it will also be a challenge. Producing the kind of intimate, engaging theatre we do requires backing from our community. For more on Prenzie Players’ plans, please visit the website for our capital campaign: campaign.prenzieplayers.com.